Every year, to kick off the holiday season we head to Banff and take in the Santa Parade. It’s like our ‘start up’ of the holiday season, where we spend the weekend indulging in Christmas movies, hot springs, and the Santa Claus Parade. We listen to Christmas music through the weekend, and spend time exploring in the snow. Christmas at the Top of Sulphur Mountain is a great way to kick off the holiday season. 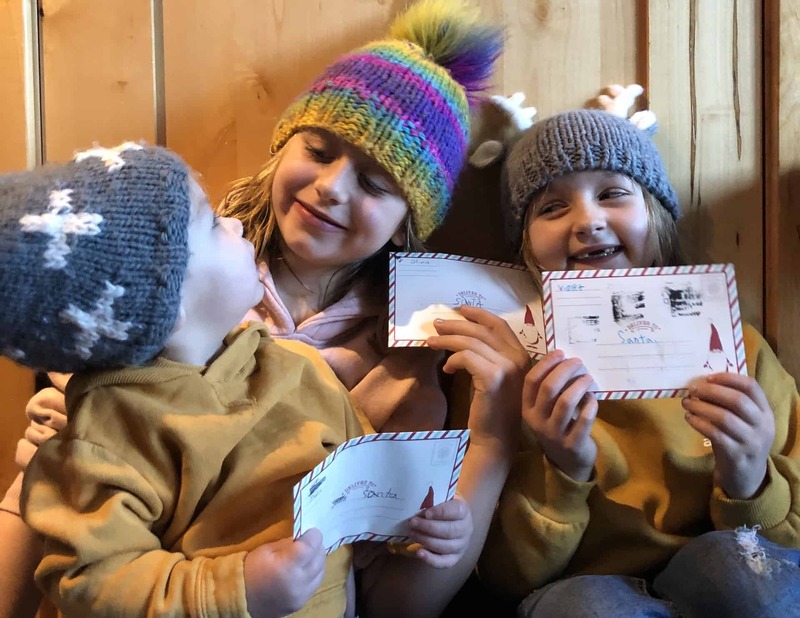 Kids can deliver their letters to the mailbox at the top of the mountain, decorate cookies, create a craft for Mom and Dad, and even catch a Christmas movie at the top of the mountain. Head up before noon and kids are free! Santa visits on weekends between November 17 and December 30, between 10:30 and noon and all of the activities that we mentioned above are included in the admission! The Santa Claus Parade in Banff is something that our family looks forward to every November. 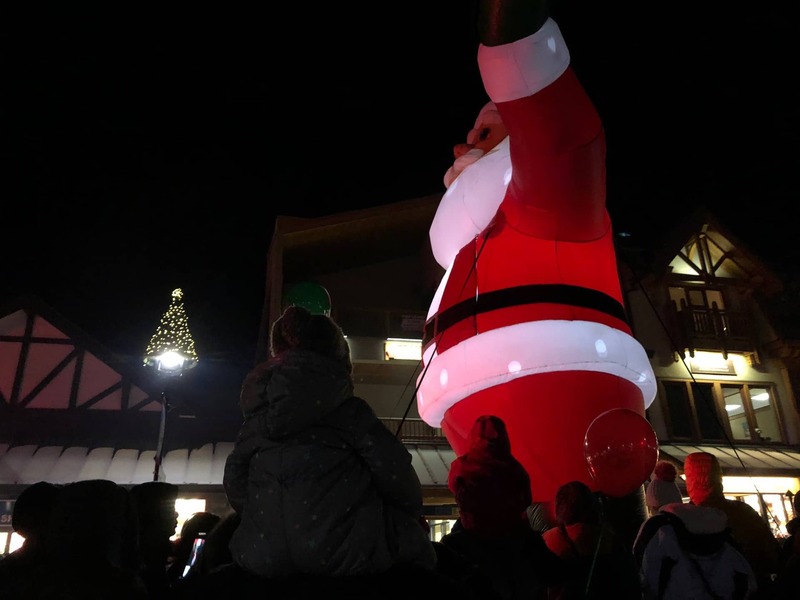 It’s the way we kick off the holiday season as a family, spending a relaxing weekend in one of our favourite places, exploring winter trails, having slow meals together and waiting in anticipation for the larger than life inflatable Santa to make his way down the Avenue. Missed the parade this year? Make plans for next year and use it as a kick off to the holiday season and one of your own family’s annual traditions. It’s magical for children of every age! Every year it’s one of my favourite Christmas experiences, as we bundle up the kids and head to Banff Ave, a thermos of hot chocolate in hand – warming up with a late dinner, and a swim in the hot springs after the parade is over! 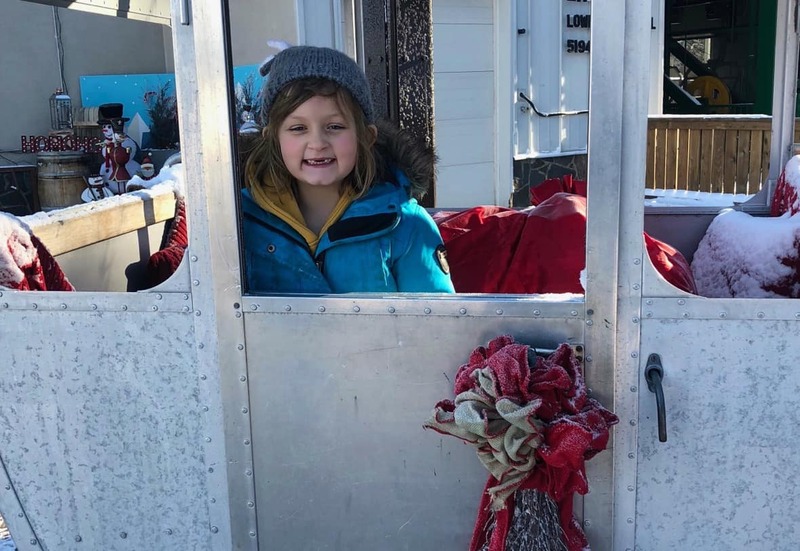 There are free seasonal wagon rides at the Banff Trail Riders Store, located at 132 Banff Ave, starting November 18 and continuing through December 9th, between noon and four pm. Trust me, your kids are going to love this one, and it’s free! Between December 7th and January 1st, you can visit the Concierge at Fairmont Banff Springs to get a scavenger hunt card, and try to find all of the Snowflakes in the castle. It’s a wonderful way to explore – and trust me, there are so many nooks, crannies and places to explore, from a haunted staircase to a knight’s armour. Don’t skip the brunch in the Vermillion room, it’s incredibly kid-friendly, and a luxurious weekend experience. That’s just the tip of the iceberg for events and activities for Christmas, happening at Fairmont Banff Springs. Pajama Parties, Christmas cookie decorating, a Santa Claus letter writing station and so much more. Use the link above to locate the full schedule of events and plan your pre-holiday getaway. Grab a cup of hot chocolate and head around town to look at the incredible Christmas lights and decorations at the different properties around the town. Bring a sled for younger children, and snowsuits and blankets to layer and keep them warm as you make your way around town. The sled is going to be much easier to navigate during the winter months, than the stroller you use around the city! On December 22 and 23rd, Santa will be out on the slopes with his friends the elves and Griff the Grizzly. Find him on the slopes where he’ll be handing out candy! Want to keep warm off of the slopes, you might just find him in the Lodge of Ten Peaks. Tip: listen for the jingle of the reindeer bells. We partnered with Travel Alberta to bring you this guide to a festival holiday season in Banff and Lake Louise.